The first official weekend of spring break is winding down, but just one look outside here on Edisto Beach shows that the fun is nowhere near being finished. 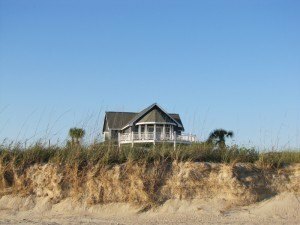 According to local vacation rental agencies, virtually all the houses for rent on Edisto are rented out by people from just about everywhere now that schools all over the country are in the midst of spring break. So what’s spring break like down here? It’s pretty much the same as summer, and thanks to the epic weather, it feels a lot like summer, too. One of the best things to do on spring break here on Edisto is to wake up, throw on some beach clothes, head over to the Seacow for some breakfast (get the grits), then spend the rest of the day on the beach. This time of year shark teeth, jelly rolls (the jelly fish that look like blobs), and all kinds of shells strewn about the sand. Even those who aren’t fans of getting in the water can take advantage of walking in the surf and enjoying the weather. Growing up, it was next to impossible getting us kids out of the water to come in for lunch, but that task is much easier when there’s a fresh bucket of fried chicken from the Piggly Wiggly waiting inside. For those who want to get right back out on the water, be sure to be aware of the current, which can be strong and always seems stronger in the afternoons when the wind picks up. If the morning sun was enough, check out one of the many gift shops, restaurants, or art gallery on Jungle Road or along Highway 174. Then again, nothing really beats an afternoon nap in the hammock. By the time night falls, adults can take advantage of heading out to one of the many bars on the island. Whaley’s is a favorite amongst vacationers and locals because of its live music, indoor and outdoor seating, and good food. After that, go back to the house and fall asleep listening to the sound of the surf. Get up the next day and do it all again until it’s time to go home.